Soapwort is easy to grow – in fact, it is rather invasive and aggressive. It is steadily winning against the mint that I planted in the same pot as an experiment to see who was stronger! It is also important to keep in mind that the very same properties that make soapwort a useful plant can also cause harm if you plant it too close to water features or ponds. The saponins in the plant can kill fish and other water creatures, but the saponins are what make this beautiful plant so wonderful! Saponins are the part of the plant chemistry that create a soap-like cleaning action. Soapwort does not produce big bubbles like one might come to expect from soap, but the gentle soapwort infusion is a truly effective cleanser that doesn’t irritate the skin. 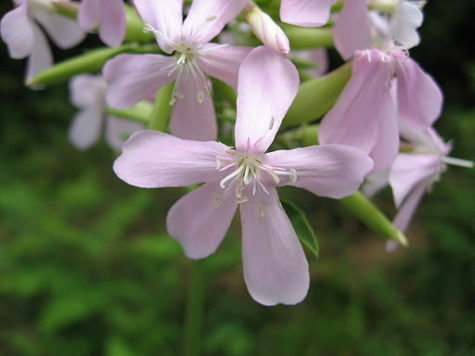 Harvest the tops, stems, and roots of soapwort. The whole plant works, and since it is such a quick grower, don’t be afraid to just continually harvest parts throughout the spring and summer when the flowers are blooming. 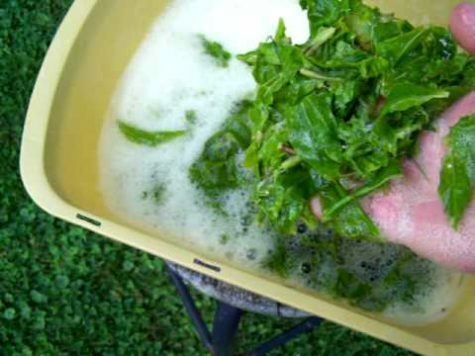 Dry the plants and use them throughout the fall and winter as well. Soapwort shampoo is a gentle cleanser for sensitive skin and dry hair. It cleans enough to leave you squeaky and fresh, but it does not strip all of the good and necessary oils away. People with chronic acne, psoriasis, or other sore skin problems can generally use soapwort infusion to clean without issues. Here’s how you can make shampoo and body wash from either fresh or dried soapwort! Boil the water and add the soapwort leaves. Cover the pan and turn it down to a simmer for fifteen minutes. Strain the infusion through a clean kitchen towel or cheesecloth into a jar or bottle. Give the jar or bottle a good shake to bring out the bubbles and pour it in your wet hair while you shower. Use your fingertips to massage your scalp. Soapwort infusion is not as bubbly as regular shampoo, but you’ll notice your hair is squeaky clean when you rinse. You can follow it up with a vinegar rinse, or use any of the above herbs brewed as tea for a conditioning rinse. Lemon Verbena for a citrus fragrance and catnip to promote healthy hair growth. Bring water to a boil add soapwort and simmer, cover for about 20 minutes. Remove from heat, add herbs then allow mixture to cool. Strain the mixture keeping the liquid. Pour into a bottle. Makes enough for 6-7 shampoos. Must be used within 8-10 days. Store in a cool dark place. Pumpkin is packed with skin-loving nutrients like antioxidants, zinc, vitamins A and C, fruit enzymes and alpha hydroxy acids. 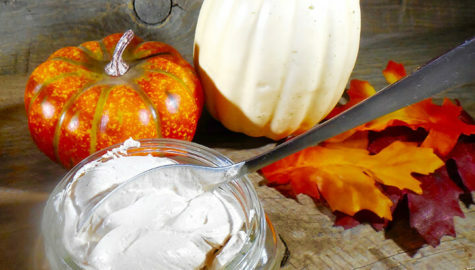 Pumpkin flesh can help to nourish, brighten and smooth skin, as well as boost collagen and help tame the signs of aging, according to The International Dermal Institute. You can use cooked fresh pumpkin puree, or canned if you have some. If you are using canned pumpkin, check the ingredients. There should be just one ingredient – pumpkin. If you have butternut squash on hand, it can be used as an alternative. Mix equal parts pumpkin puree and coconut oil and bring it in the shower with you. Slather all over and go about your shower business, then rinse off before you get out. Dry yourself gently, enjoy your soft skin. 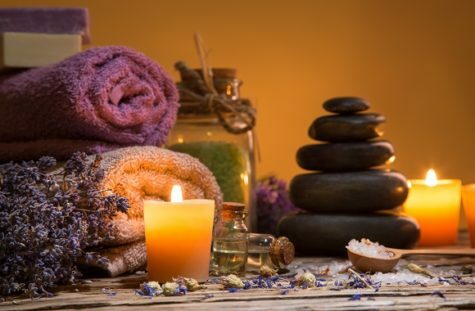 Adding essential oils to your bath water is one of the best aromatherapy treatments there is, more aroma molecules are released from the oils whilst in the bath than during a massage. 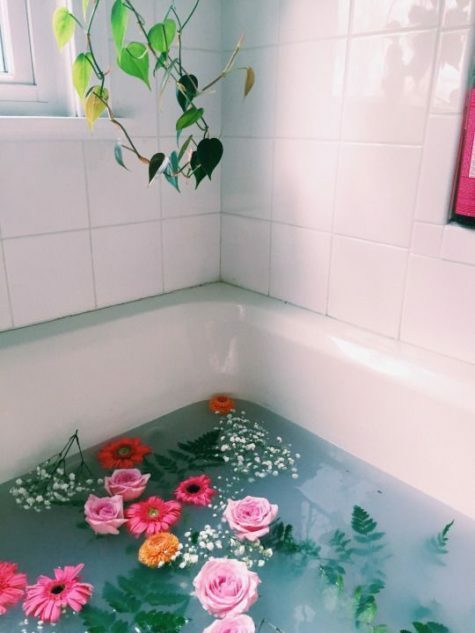 As you soak in the bath the hot water softens the skin which in turn speeds up oil absorption, this allows the essential oils to become more effective and potent on both the mind and body. They are not just a simple and easy way to add a touch of luxury to your bath; they will moisten and nourish your skin, along with treating the everyday ailments that you may be suffering with. You will also notice the aroma of the oils is so much stronger in the warm water; it’s almost like sniffing a bunch of flowers. 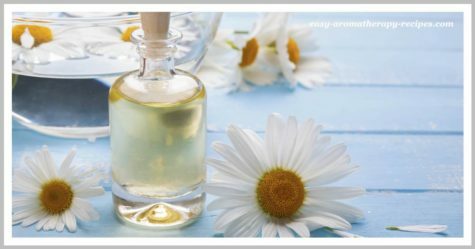 So the next time your thinking of having a bath add a few drops of your homemade bath oil, lie back, close your eyes and enjoy. The basic principle in making bath oils is to select essential oils for their properties and fragrance, then add them to 4 tablespoons of base carrier oil. 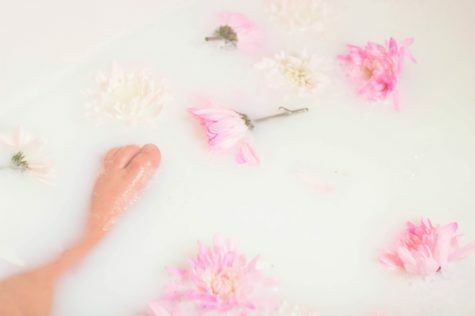 The easiest base oils to use in your homemade bath oils are the light base oils such as Castor Oil, Almond Oil, Jojoba Oil or even simple Sunflower Oil. Pour your base oil into a dark or clear glass bottle or jar. If using a clear glass jar you will need to protect the oils from waning by storing the finished oils in a dark place, a bathroom cupboard is perfect for this. Add about 20 drops of your chosen essential oils cover and shake well. Leave the homemade bath oil to blend and mature for about 2 weeks before using. 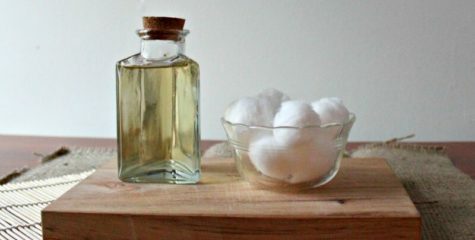 Simply add 1 tablespoon of scented oil to the bath and swish around to disburse. Once in the bath use a sponge to massage the oil into the skin. 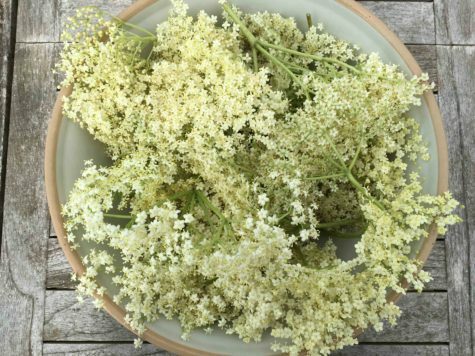 For an extra beauty treatment whilst soaking in the bath, mixing a few elderflowers with some live yogurt will make a great little face pack that can clear the skin and help prevent wrinkles. This homemade bath oil leaves you feeling warm and happy inside! This bath oil has a wonderfully rich and floral fragrance. A simple combination that will leave you feeling very calm and relaxed. All of the essential oils in this recipe have been chosen to help relieve stress and depression. This uplifting oil will defiantly to put a spring back in your step. Very Sweet, very fresh and very relaxing, what more can I say! 10 drops essential oil(s) of your choice. As with the other bath oil recipes, pour into a dark or clear glass jar or bottle (protecting the oils from daylight if using clear glass) shake well and leave to mature for 2 weeks. Add 2 tablespoons to each bath and swish it about. Baby shampoo is another very efficient carrier of oils, again helping the oils to disburse quickly and evenly in water. Pour the base oil into a glass bottle or jar, add the shampoo and give it a good shake. Add the essential oil, shake again then leave to mature for 2 weeks, not forgetting to protect the oils from daylight. Add 2 tablespoons to each bath and swish it about. Adding oils to a bath really doesn’t need to be completed, you can start by adding a single essential oil to your bath water. Essential oils normally last about 2 years if kept in a cool dark place and you literally only need a few drops so they are very cost effective. I’ve listed below those that I would recommend as the best singular all rounders that can be used and enjoyed at any time of the year. Before adding any oils to the bath make sure you close the bathroom door so that you can keep as much of the scent in the room as possible. Add the oils drop by drop and don’t be tempted to add more, working on the theory that adding twice as much will get rid of a headache quicker doesn’t work and may just end up irritating the skin. On average you will need about 10 drops per bath, but with some of the stronger smelling oils you will only need 5 drops. Stronger smelling oils include; eucalyptus, peppermint, bay, basil, lime, lemon, thyme, rosemary. A milk bath is a bath taken in milk instead of water. 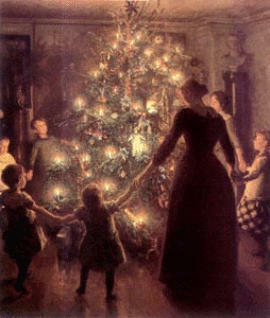 Often other scents such as lavender, honey, and essential oils are added. Cleopatra, Elizabeth I of England, Elisabeth of Bavaria, and others have historically acclaimed the beautifying benefits of these baths. 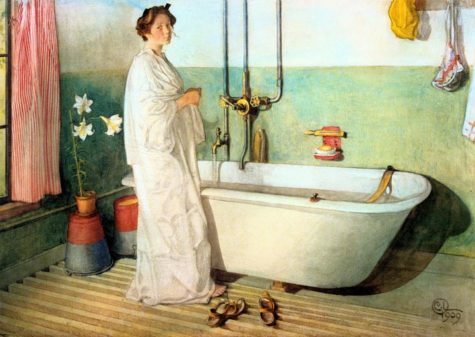 Cleopatra was definitely onto something when she indulged in daily beauty treatment milk baths. It turns out the natural lactic acid found in milk is a form of alpha-hydroxy-acid (an ingredient which can be found in some of the most expensive exfoliating products). This type of acid gently dissolves proteins to exfoliate dead skin cells, which reveal fresh, younger looking skin underneath. The lactic acid found in milk is extremely mild, so don’t worry, it won’t strip or irritate the skin. In fact, milk is quite soothing on dry skin. Milk is also rich in vitamins and minerals — most notably Vitamin E and zinc — which help slow the process of aging and retain skin’s natural elasticity. Milk baths seem to be making a comeback in modern times as well. Many upscale spas in major cities offer a number of milk treatments such as hot milk and almond pedicures! That sounds divine! But you don’t have to spend a lot of money at a fancy spa (or travel back in time) to reap the benefits of milk in your beauty routine. Milk bath recipes are some of the quickest, easiest homemade bath products you can make. Here is a simple recipe that you can mix up in minutes and add your own scent to as well. Combine the powdered milk, cornstarch and baking soda in a large glass container. Put the lid on and shake the jar until the powders are completely mixed. Remove the cap and add the essential oil. Re-cap the jar and shake to combine. Let sit for 24 hours before using, to let the ingredients and the essential oil completely combine. Store in a cool, dark place. To use, pour 1 to 2 cups of your milk bath under hot running water. Lie back and relax! This is one time when lowfat is NOT your best bet. The higher the fat content of the milk, the more nourishing it is for you skin. Also, lactose intolerant folks don’t have to worry about bathing in milk. The milk isn’t being drunk, so there won’t be any digestion problems. As reported in the Journal of the American Academy of Dermatology, Australian researchers studied 126 people with dandruff, which is caused by a skin fungus. Subjects were given either an ordinary shampoo or one containing 5 percent tea tree oil. After four weeks, flaking was reduced 11 percent in the plain-shampoo group, but 41 percent in those who used tea tree oil. 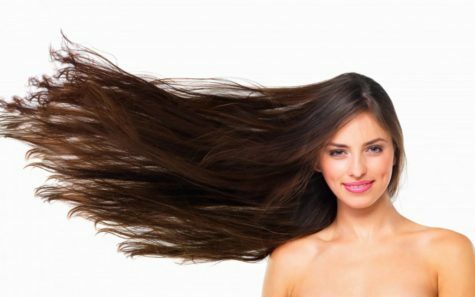 It’s not a miracle cure, but if your dandruff shampoo isn’t working as well as you’d like, add a drop or two of tea tree oil each time you shampoo. 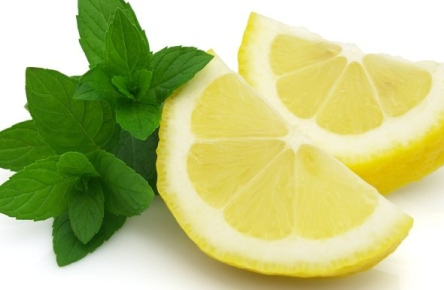 This combination of lemon and mint makes a great summer cooling body spray and/or facial toner. Pour 1 cup boiling water over the peppermint leaves turn off the heat and steep in a covered container until cool. Strain. Add witch hazel and lemon. Elder Flowers, if placed in the water used for washing the hands and face, will both whiten and soften the skin-a convenient way being to place them in a small muslin bag. Such a bag steeped in the bathwater makes a most refreshing bath and a well known French doctor has stated that he considers it a fine aid in the bath in cases of irritability of the skin and nerves. Elder Flower Water (Aqua Sambuci) is an official preparation of the British Pharmacopoeia, which directs that it be made from 100 parts of Elder Flowers distilled with 500 parts of water (about 10 lb. to the gallon), and that if fresh Elder flowers are not obtainable, an equivalent quantity of the flowers preserved with common salt be used. The product has at first a distinctly unpleasant odor, but gradually acquires an agreeably aromatic odor, and it is preferable not to use it until this change has taken place. Elder Flower Water is employed in mixing medicines and chiefly as a vehicle for eye and skin lotions. It is mildly astringent and a gentle stimulant. It is the Eau de Sureau of the Continent, Sureau being the French name of the Elder. Elderflower Water in our great-grandmothers’ days was a household word for clearing the complexion of freckles and sunburn, and keeping it in a good condition. Every lady’s toilet table possessed a bottle of the liquid, and she relied on this to keep her skin fair and white and free from blemishes, and it has not lost its reputation. Its use after sea-bathing has been recommended, and if any eruption should appear on the face as the effect of salt water, it is a good plan to use a mixture composed of Elder Flower Water with glycerine and borax, and apply it night and morning. 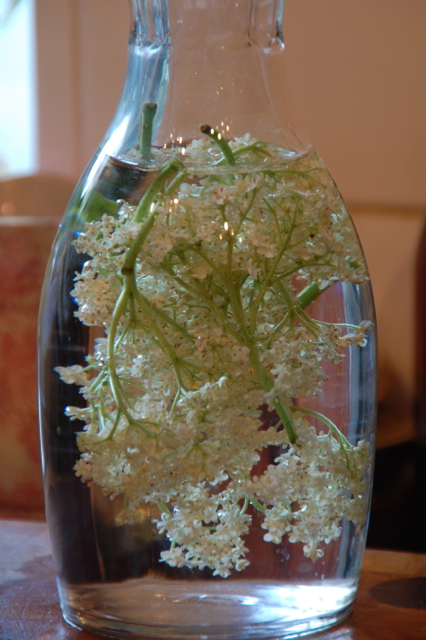 Fill a large jar with Elder blossoms, pressing them down, the stalks of course having been removed previously. Pour on them 2 quarts of boiling water and when slightly cooled, add 1 1/2 OZ. of rectified spirits. Cover with a folded cloth, and stand the jar in a warm place for some hours. Then allow it to get quite cold and strain through muslin. Put into bottles and cork securely.